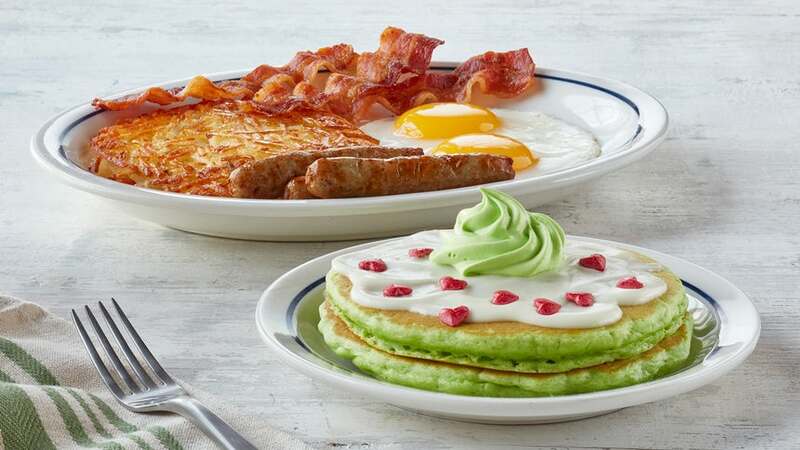 Cure your case of the ‘bah-humbugs’ with a stack of IHOP‘s Grinch’s Green Pancakes! 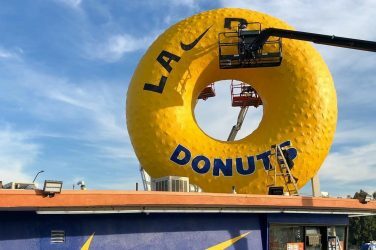 In honor of the season, the popular breakfast chain has teamed up with Illumination Entertainment and Universal Studios to introduce a limited-time holiday menu modeled after the new animated movie Dr. Seuss’ The Grinch. 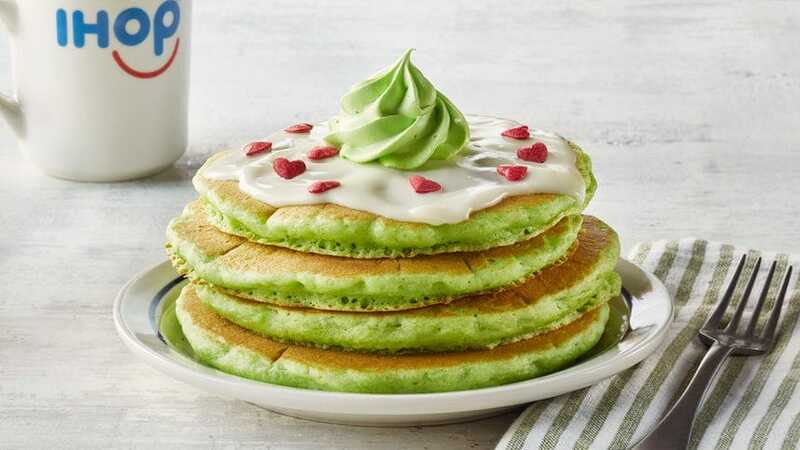 The themed menu features festive dishes like Grinch’s Green Pancakes, four green buttermilk pancakes topped with a cream cheese icing, red candy hearts, and green whipped topping! 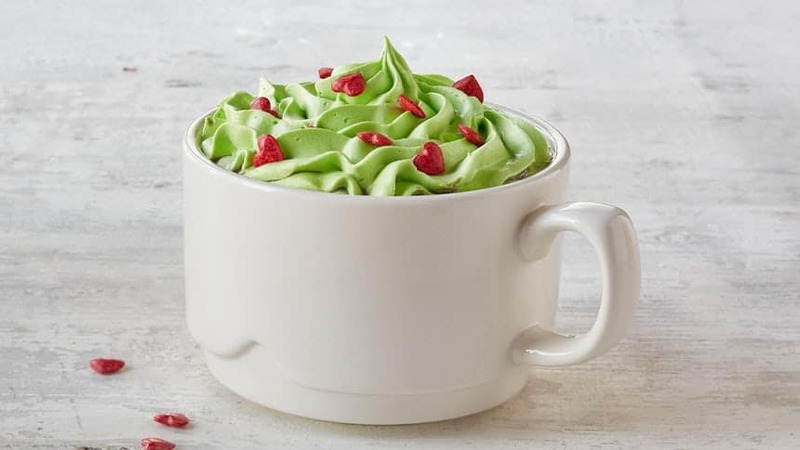 Catch a taste of Who-ville with a Minty Who-Hot Chocolate made with mint syrup and topped with creamy green whipped cream and candy hearts. 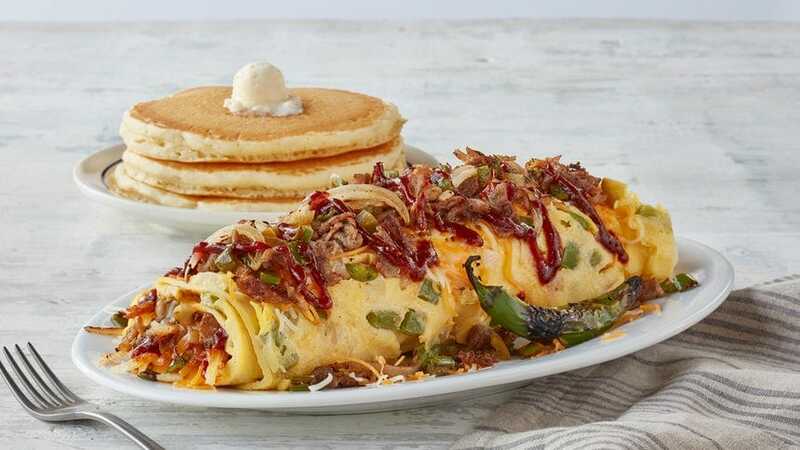 The holiday menu also features a delectable Who-Ville Holiday Cheesecake French Toast and a spicy Who-Roast Beast Omelette! Enjoy the Grinch Menu now until December 31st! Find an IHOP location, near you!